Amidst the ruins of Troy, Queen Hecuba declares, “Lift up your head from the dust! Heave up from the earth the weight of your misery, you whom the Gods have cursed. Some agonies are beyond telling, and some must be told.” One of the acclaimed works of ancient Greek playwright Euripides tells the tale of Hecuba, Andromache, Cassandra and the other women of fallen Troy, who, after their husbands die in battle, now face being sold into slavery with their families. Although this war assuredly takes place in the past, director Zoe Lafferty’s reworking of the ancient play reveals a haunting similarity with the wars we wage today. 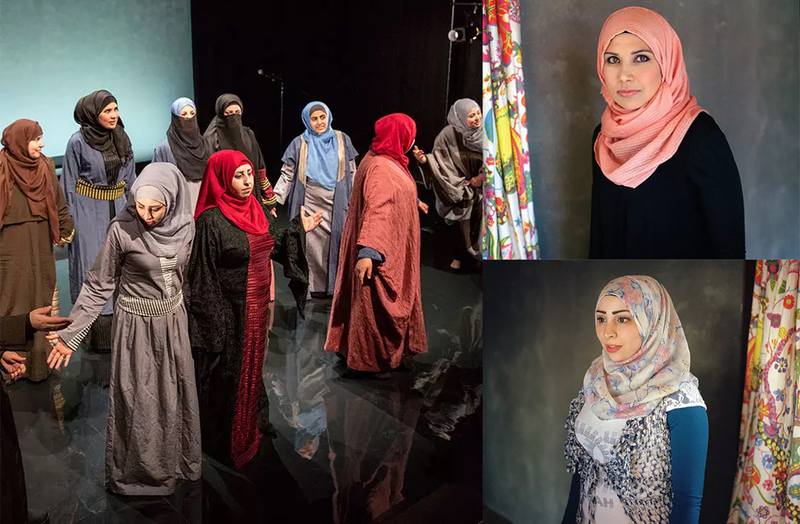 An outcry against war, performed at the Young Vic theatre in London, the play gives a modern spin to this ancient story, viewing it through the eyes of an all-female cast of Syrian refugees. The Queens of Syria, Reham, Reem, Waed, Anwar, Khowla, Sham, Maha, Hannan, Sais, Diana, Rasha, Fatima, and Faten, a 13-member group of refugees, real women who know the pain and conflicts of war firsthand, perform Lafferty’s rendition of “The Trojan Women,” inserting their own true experiences into their onstage roles. Teetering on a precarious note of celebration, the production opens with Reham excitedly speaking of her wedding day. Things immediately take a turn for the worse when, paralleling Queen Hecuba’s fate, Reham and her new husband must flee after the kidnapping and murder of her cousin.